Editor’s Note: This post was written by Shah, who writes about web design & development. If you want know about more useful tools for web design or more tips & ideas for web development, designermag.org is the place for you to see what has been shared for design, creativity & inspiration hungry audience. You can join Shah at Google+. Web designers use lots of tools to enhance their performance to improve their projects. One of the most popular types of tools web designers like to take advantage of are wireframing applications. These tools are very useful, because they give you the opportunity to quickly sketch a website’s layout and make slight modifications to every area that you think needs to be improved. Of course, this is just the main purpose of these tools – other than that, they also provide you with other useful features, such as simultaneous editing, quick interactive page linking, text resizing and more. In this post we’ll help you become familiar with 15 of the best wireframing tools out there to help you build a website you want. After going through these tools you will be able to understand why wireframing ideas strengthen web design? 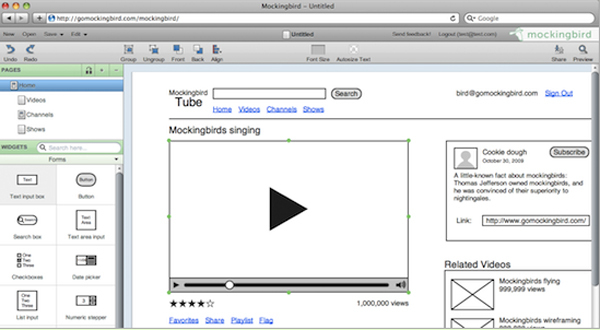 Mockingbird is one of the most popular wireframing tools, because it can easily be accessed from anywhere thanks to the fact that is web-based. This means that you can browse your projects from absolutely any device connected with the Internet. Some of the biggest advantages of Mockingbird are the user-friendly interface, the handy drag & drop UI, smart text resizing and the ability to easily share your projects with colleagues with the push of a single button. Keep in mind that this piece of software is still in Beta, so we’ll definitely see many improvements in the near future. 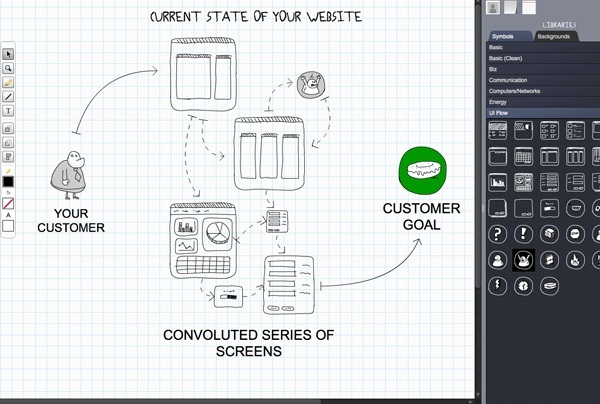 Lovely Charts is another web-based piece of wireframing software. Thanks to its features, web designers are able to quickly create wireframes, sitemaps, flowcharts and organization charts. The thing that makes Lovely Charts a unique application is the tool’s ability to generate suggestions based on the diagram you are drawing. This way, the drawing process can become much easier, faster and more enjoyable. Lovely Charts doesn’t much to offer, but it is definitely a great choice if you are looking for a user-friendly and simplified wireframing tool that will significantly improve your work performance. 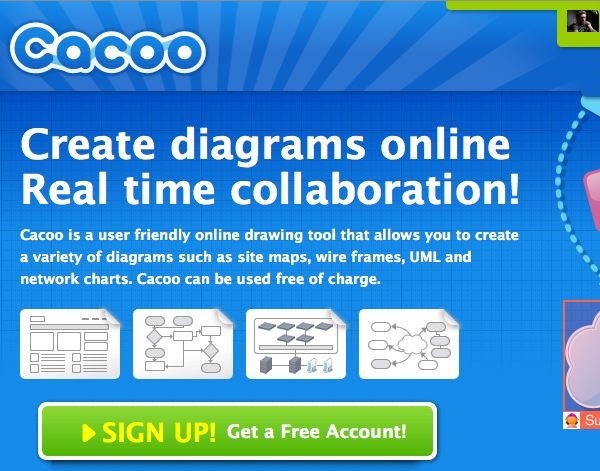 Just as the first two tools we analyzed, Cacoo is also web-based. This tool features a user-friendly drag & drop interface that turns creating wireframes, sitemaps, network charts and diagrams in a very easy and enjoyable process. Apart from this, Cacoo also gives you access to several great stencils that you can use to further enhance the quality of your projects. Another huge advantage of Cacoo is the “unlimited undo” feature which basically gives you the ability to make unlimited modifications to your projects. Last, but not least we should mention real-time collaboration. This feature allows several users to simultaneously work on the same project. Gliffy is undisputedly one of the most flexible and functional tools on the list. This web-based application gives users access to a wide range of wireframing tools that most web designers will find irreplaceable. With Gliffy, creating technical drawings, business processes, organization charts, process flow diagrams, wireframes and network diagrams is made easy! The drag & drop interface makes the job even easier and as soon as you start using Gliffy, you’ll see that all of the superlatives you read about it are completely true. Gliffy users are able to create their very own galleries where they can store images and projects for later use, so if you want you can create a unique personalized work space which will definitely improve your work performance in future projects. Lumzy is the favorite wireframing tool of many designers, because it offers the most important functions without cluttering the interface with unused and unnecessary features. Lumzy supports things such as real-time collaboration, a unique chat engine for quick contact with your colleagues. You can also use the integrated image editor to quickly adjust the image properties of the media you use. 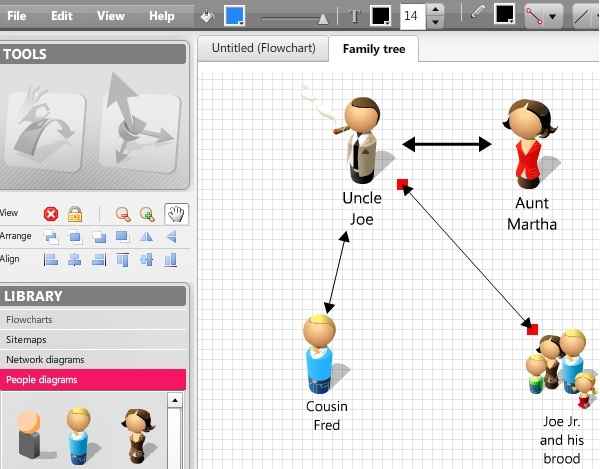 Overall, Lumzy is a great tool for creating wireframes and prototypes of user interfaces and websites. The Pro version of Lumzy provides you with features as well as the ability to host your projects on your very own server which is a great way to hide confidential information and provide quick access to all team members who need to work on the projects. 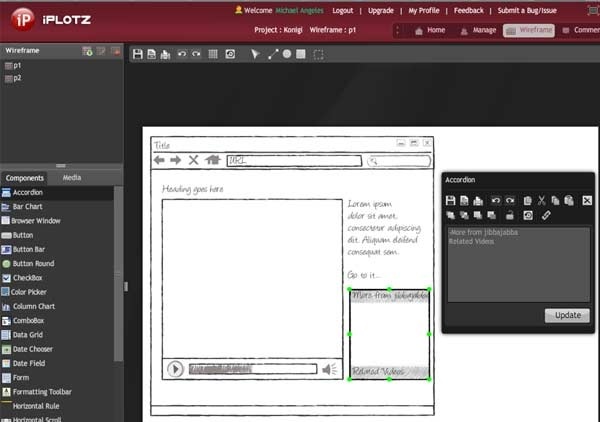 Axure is a paid wireframing tool which is available for Mac & Windows. The lowest amount of money you can get it for is $289, but depending on the version you choose, the price may go up to $589. The main features of Axure are the ability to create professional interactive prototypes of websites and application interfaces. Other than that, you can also design sitemaps, widgets and export them as interactive HTML mock-ups. Thanks to the built-in share function, you can quickly test your creations across multiple devices such as phones, tablets, laptops, etc. 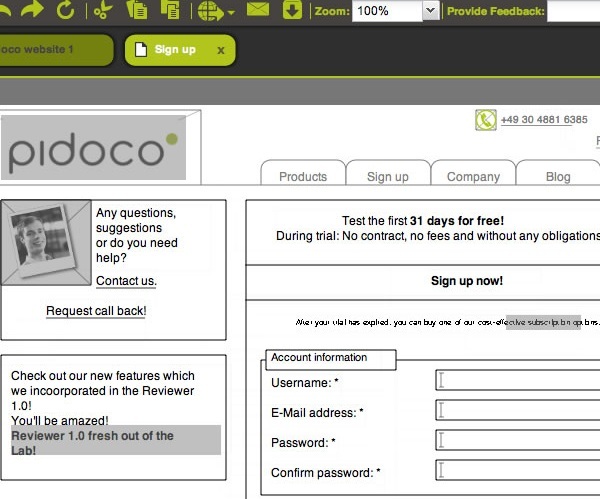 Pidoco gives you great value for money, because this handful wireframing tools can cost you just $9. Of course, depending on the subscription plan you choose, the web-based software can cost up to $59/month. The great thing about Pidoco is that you can run it from absolutely anywhere, so it is incredibly easy to work on your projects while on the road or on vacation. The drag & drop interface turns wireframing into a very enjoyable and easy job, while the ability to add multiple layers and pages gives you the opportunity to experiment with various layouts. All of your prototypes can be easily shared online with the push of a single button and anyone who views them will be able to leave feedback as well as to discuss your creation. 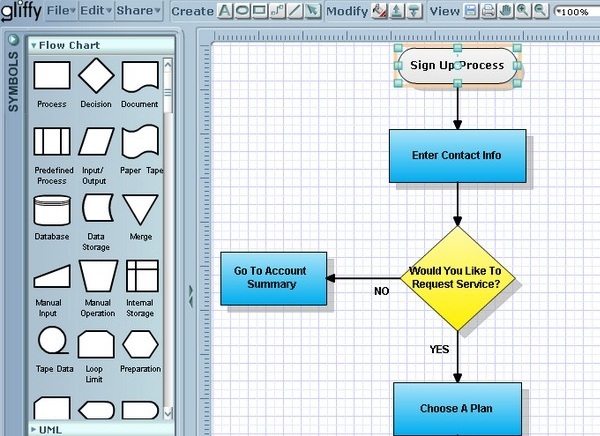 Visio is one of the best wireframing tools out there, but it doesn’t come cheap! The most basic version will cost you $599.95 while the most feature rich one can be yours for $999. 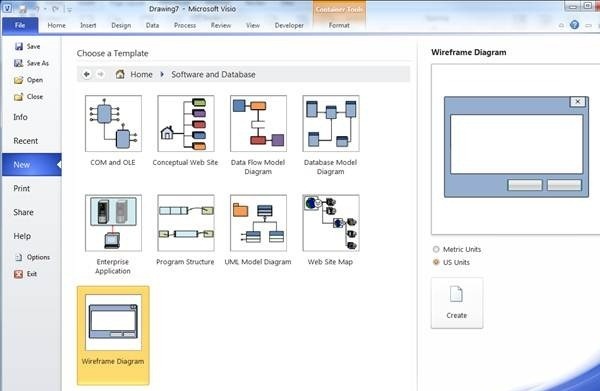 Although the main purpose of Visio is to create technical diagrams & drawings, the application’s rich list of functions is also useful for wireframing. The interface is pretty similar to the one of Microsoft Word & Excel, so if you have experience with one of these programs, you’ll definitely quickly learn how to take full advantage of Visio’s functions. Visio’s functionality can be further enhanced thanks to the wide range of add-ons available for this tool. 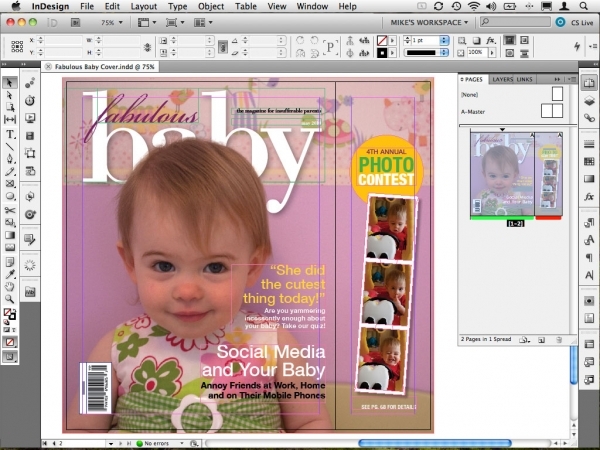 InDesign is one of the most advanced wireframing tools you can get your hands on. It is part of the Adobe Creative Cloud and costs £660.51, but the high price is definitely justified. Apart from creating all types of wireframes and prototypes for websites and applications, you can also include animations and videos in your projects. Other than that, users can also create their very own libraries where they have the opportunity to store elements and graphics that they often use. Thanks to this simple, but helpful feature, it is incredibly easy to organize your work space and improve you work performance. iPlotz isn’t a very popular wireframing tool, but it can definitely prove to be a good choice for many web designers. The tool doesn’t require installation, because it is Flash-based and can be accessed directly through any Internet browser. 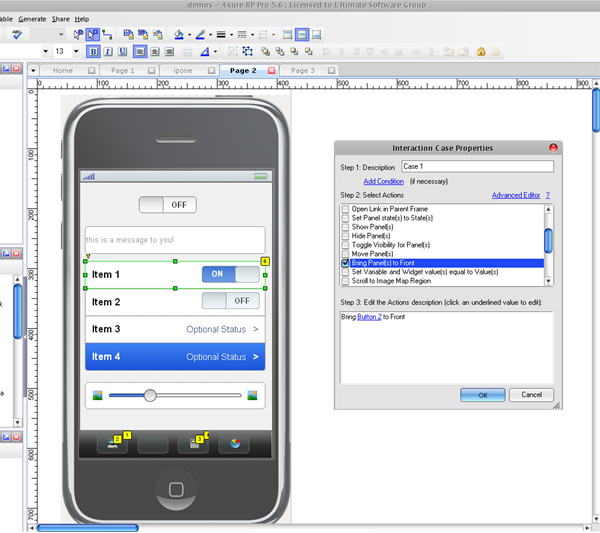 Thanks to its brilliant user interface, users can quickly create & design clickable wireframes. The drag & drop interface makes the creation process much easier and more enjoyable. iPlotz is also a great choice if you are working on a project with a team, because the tool allows you to add notes & tasks for project managers and team members. Pencil Project is an open-source project that is available as a standalone tool for Windows & Linux, as well as a Firefox add-on which can be integrated in the browser. There are no differences between the two versions, so it doesn’t matter which one you’ll choose. 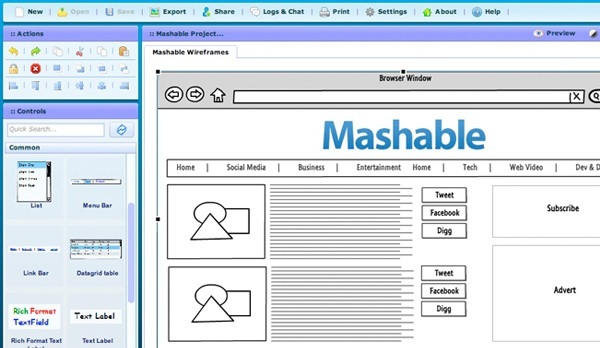 The tool gives you the ability to quickly create, test, save, load and display wireframes directly in the Firefox window. As a user, you’ll have access to a library of shapes and saved graphics elements. The library of http://openclipart.org is integrated with Pencil Project, so you’ll have access to thousands of stencils and elements that can be easily integrated in your project. SimpleDiagrams is a lightweight desktop application that gives you the ability to create basic wireframes for applications and websites. 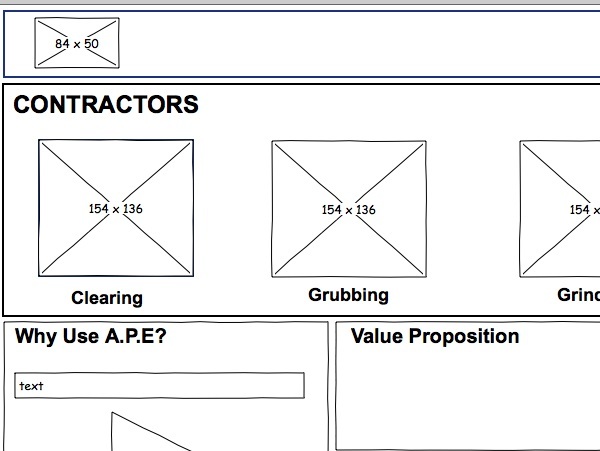 It doesn’t have much to offer, but you will find all the basic features you want to see from a wireframing tool. The application is based on the Adobe AIR platform, so it is compatible with Linux, Windows & Mac. The tool features a slick drag & drop interface, so you’ll be able to easily move around every element of your project. All finished diagrams can be exported and shared as a .PNG image. Denim is a great choice for the early stages of your project. It is a great tool for brainstorming and wireframing basic ideas, but it definitely won’t serve you any good if you plan to use it on later stages of the project. The multi-platform desktop wireframing application doesn’t have a lot of futures, but it is the perfect choice for creating the most basic plans of your future design. This lightweight and simple tool is used by many web designers around the world, but we strongly advise you to also look for a tool that you’ll on the more advanced stages of your design project. 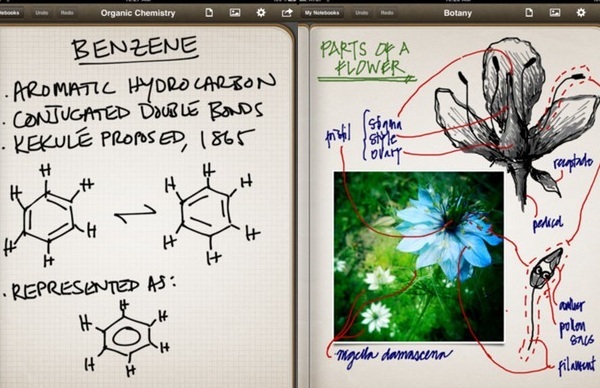 This cheap iPad application is mostly used by web designers who develop applications for iPad. The reason why it is so popular among them is because it gives them the ability to easily measure the size of every element due to the fact that they directly see how their design will look on the device. Thanks to this, they can pick the right active areas and create well-optimized user interfaces. Other than that, the application also gives users the ability to save & share projects with clients. 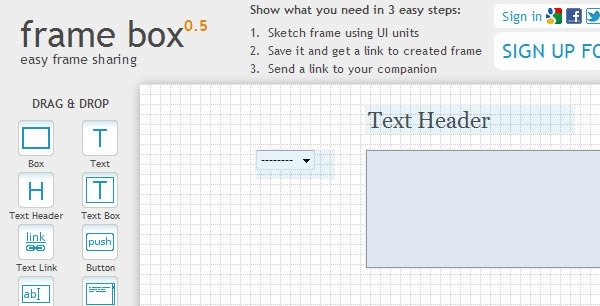 Framebox is a very simple wireframing tool which is completely free and can be accessed via any Internet browser. It doesn’t come with so many features, but you’ll find everything you need to create a basic wireframe for a website or application interface. The ability to drag & drop elements is very helpful and most designers will find it very easy to manipulate their wireframes in any way they want. One of the simple yet helpful features is the ability to give names & descriptions to every wireframe element – this way you can easily explain what the function of every element is and can give your clients a better idea about your plans.